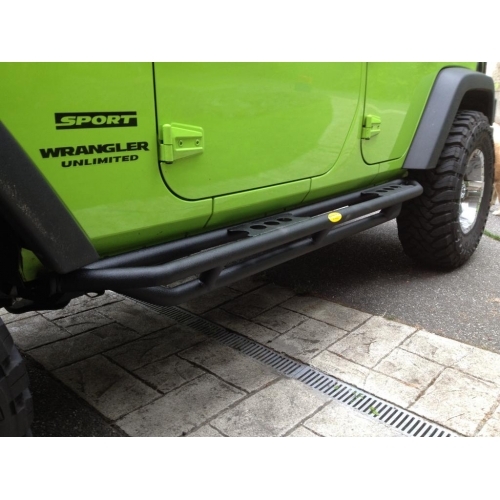 2007-2018 Jeep Wrangler Unlimited JK 4-Door. This is for a PAIR, both driver and passenger side. 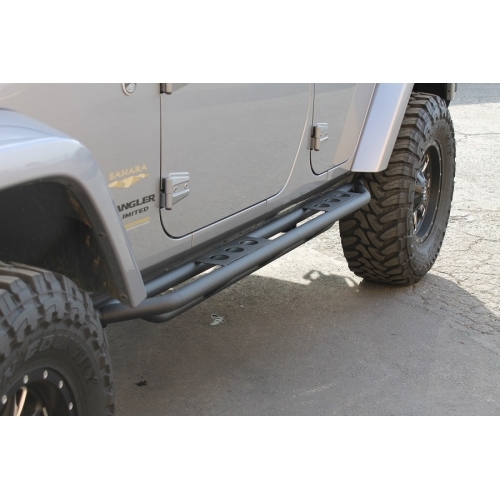 The Side Armor for the JK's utilize a one piece design and is manufactured from 1.75" .120 wall tubing. 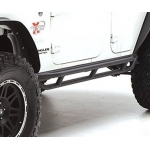 Each Rocker Slider utilizes a dual girder system provides the ultimate protection for the sides and under section of your Wrangler. These Rocker Sliders can be utilize as protection as well as a step at the same time. Bolts up to your vehicle without any drilling or modifications, giving you the ultimate protection from wheel to wheel. Black Textured Powder Coat.